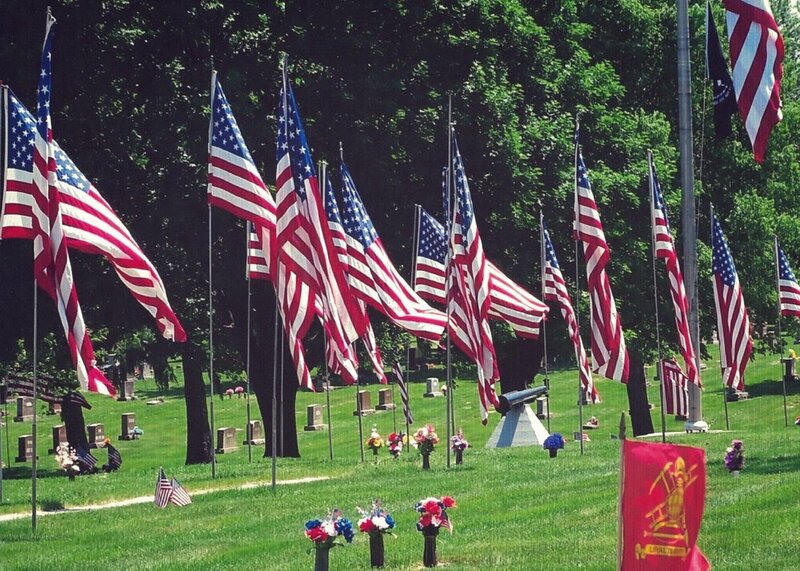 Lincoln Memorial Park is a family-owned cemetery located in Aurora, IL, that has been a part of the community since 1929, with the primary concern of providing peace of mind to the families we serve. Our mission is to be professionals who can be relied upon to provide guidance in the most difficult of times faced by those in our community, while ensuring the long-term sustainability of the cemetery. Our Memorial Park features winding tree-lined avenues, meticulously maintained monuments, and peaceful arboretum-like sections including a Veterans' Garden. The office was originally a farmhouse that was built well over 100 years ago. Visitors are always welcome and encouraged to visit the park. However, the park does close 30 minutes after sunset. Our Family Service Counselors are always on hand at our historic Lincoln farmhouse office to assist you in making arrangements for you or your loved one. Lincoln Memorial Park features a beautiful Veterans' Garden where flags line the streets during our annual services held in honor of Memorial Day.